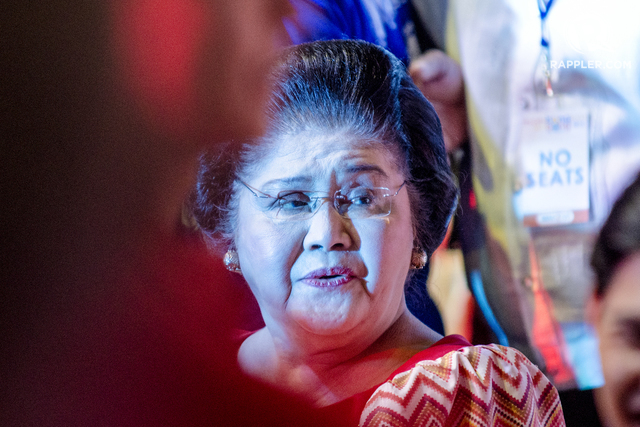 MANILA, Philippines – Ombudsman prosecutors are set to submit on August 4 their memorandum summarizing their case against Ilocos Norte Representative Imelda Marcos over 10 graft charges in a corruption case that’s lasted 26 years. Prosecutors ended their presentation in December 2015 which would have marked the start for the defense to present theirs, but Marcos’ lawyer snubbed the hearings. In February this year, the anti-graft court Sandiganbayan held Marcos’ lawyer Robert Sison in contempt for failing to attend the hearing. The 5th Division also waived their right to present evidence. Prosecutors were supposed to submit on July 4 their memorandum that would conclude the trial at last after 26 years, but they asked for a one-month deadline. The new deadline ends on August 4. 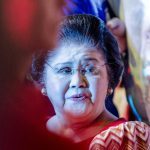 Evidence against Marcos includes a sworn affidavit from the late former solicitor general Frank Chavez with details of how the former first lady used the Switzerland foundation to conceal millions worth of alleged ill-gotten wealth. Bank records and handwritten letters from the Marcos couple to foreign banks were also submitted to court. Documents obtained from Chavez were also corroborated by former Bangko Sentral ng Pilipinas governor Jaime C. Laya when he testified in the case.